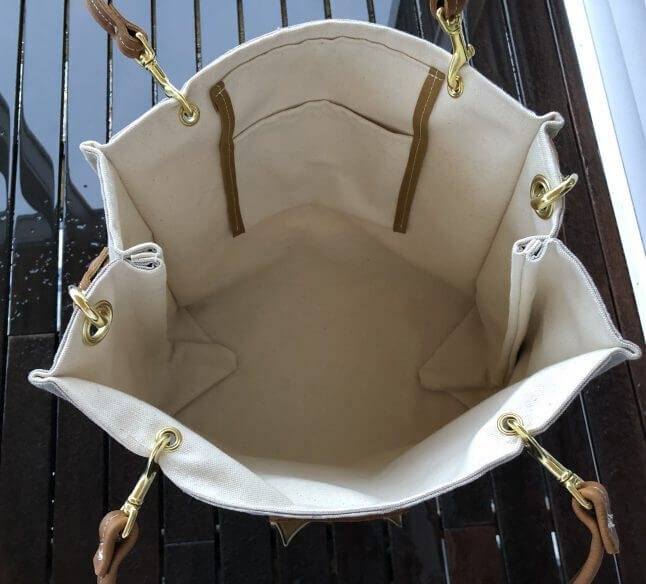 Since these are all hand made to order – please allow up to 2 weeks for delivery. 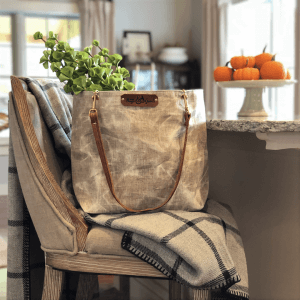 It’s all about the fabric with this Market Tote. The upper portion is a hand bees waxed 8 oz. linen natural in color. The variations in the color due to the waxing process is amazing! 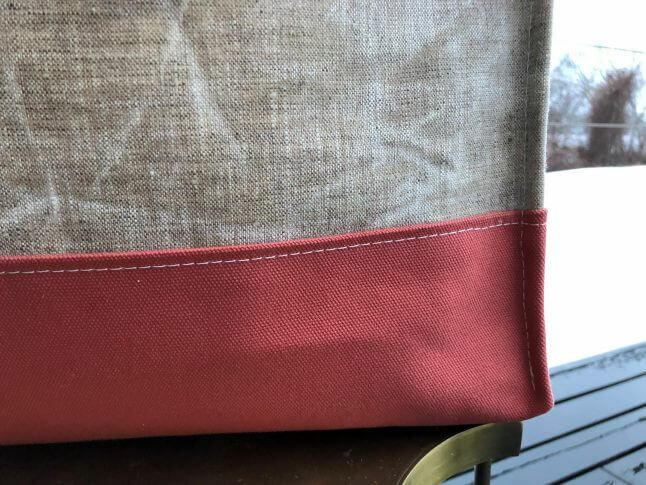 The bottom portion is a #8 Duck cotton canvas that is water repellent in Nantucket Red. The boxy color block design with these 2 colors is a very soft and natural combination. The interior is lined with a 15 oz. 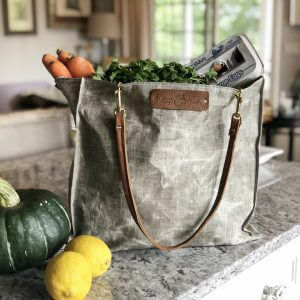 duck cotton canvas with a matching pocket in natural. 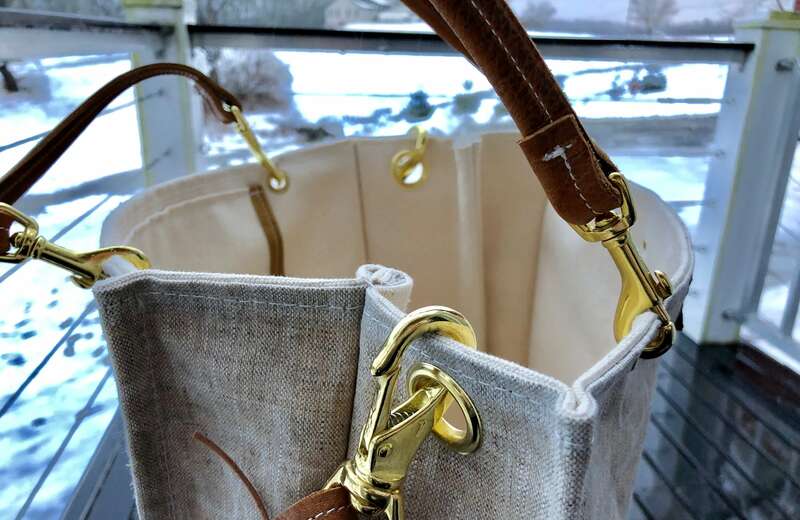 All brass accents really amp up the look of this bag. 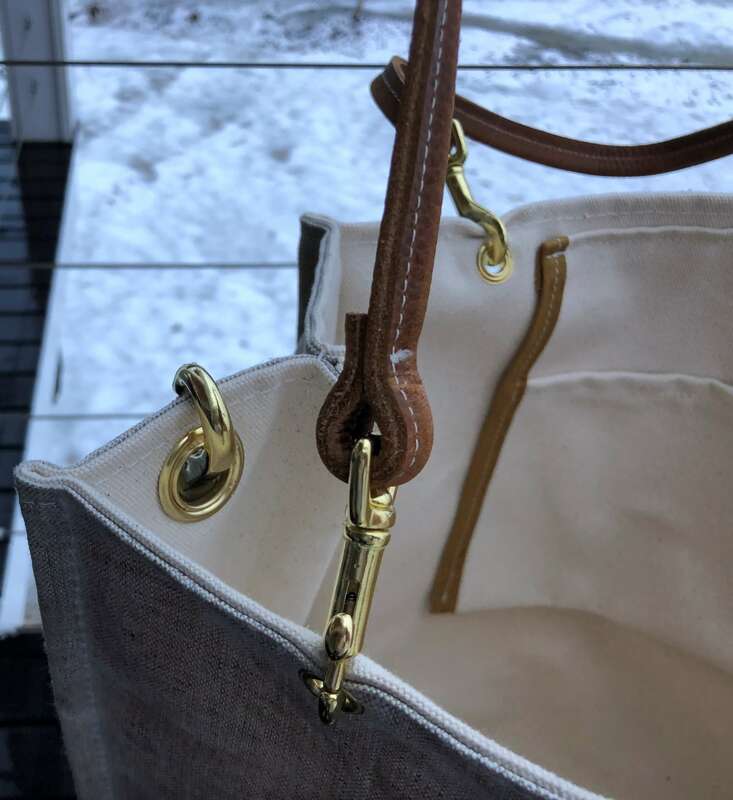 There are 2 “top” handles in leather and brass swivel hooks and a single should strap in leather with brass swivel hooks – all are attached to the tote via brass grommets. 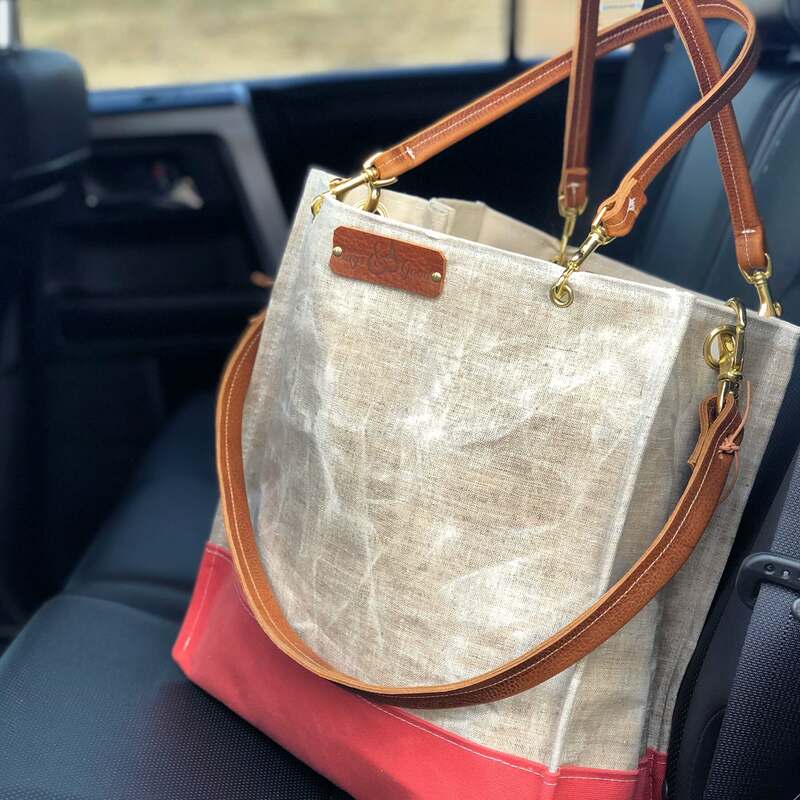 The front is adorned with the Maine Bags and Goods Logo stamped into leather and attached with brass studs. All bags are sewn with upholstery thread for added strength. The interior has french seams and all outer edges are top stitched. Care Instructions: The outside of the bag can be rinsed with water – don’t clean with detergents as it will break down the waxed treatment. The interior can be sprayed with water and can be spot cleaned with detergent. Straps are easily removable for the cleaning process. Don’t be afraid to get this bag wet!